Text: Origins. One of George Herbert’s most enduring and frequently reprinted hymns is “The Elixir,” which begins “Teach me, my God and King.” This was first printed posthumously in The Temple (1633 | Fig. 1), in six stanzas of four lines. Fig. 1. The Temple (1633). Thou say’st, this fruit is mine. But these are high perfections. And show them as they are. In the 7th ed. of The Temple (1656), the third line of stanza four was changed to read “Which with this tincture (for Thy sake)”. Text: Analysis. The term “elixir” can have two meanings: (1) a medicinal compound, or (2) a compound or stone capable of turning metals into gold, as in alchemy. The elixir stone is sometimes also called the philosopher’s stone. Both uses of the term apply to the text. The first can be seen in stanza four, since “tincture” and “elixir” have very similar meanings. “Tincture” here could also mean an infusion of God’s character. The connection to alchemy happens in the final stanza, where Herbert referred to God, who can make all things pure like gold. The first stanza alludes to 1 Corinthians 10:31 (“So, whether you eat or drink, or whatever you do, do all to the glory of God.”), or possibly Colossians 3:23 (“Whatever you do, work heartily, as for the Lord and not for men.”). The fifth stanza, about a servant who can make drudgery a divine act, carries a similar sentiment. Tune. The most commonly used tune for this text is SANDYS, from William Sandys’ Christmas Carols Ancient & Modern (London: Richard Beckley, 1833 | Fig. 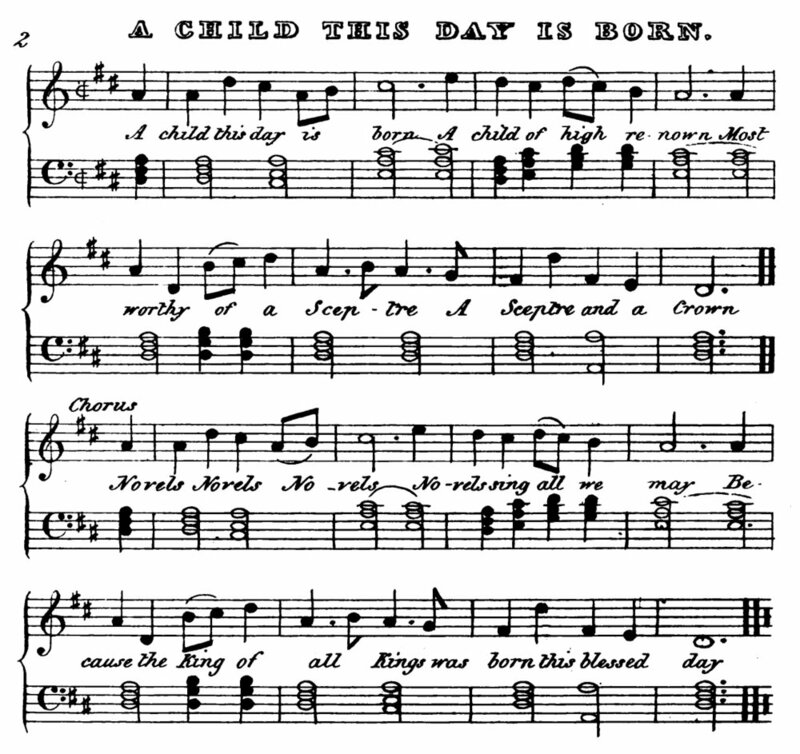 3), where it had appeared with the text “A child this day is born.” In this case, Sandys was not the author, only the collector. Concerning the origins of the tunes in this collection, Sandys only relayed, “The tunes are of a pleasing and plaintive nature, and most of them appear to be of considerable antiquity. . . . Although the tunes are appropriated in this selection to particular carols, they are not confined to them, but some favourite ones are sung to various sets of words” (p. 187). The connection between the carol tune and Herbert’s text first occurred in The English Hymnal (1906). The text also first appeared in Sandys’ collection, where it was given in 21 stanzas. The refrain “Novels, novels,” is probably related to the French term nouvelle (“new”), or it could be a variant of “nowell”; it is usually replaced in other collections as “Glad tidings to all men, glad tidings sing we may,” following the example of John Stainer’s Christmas Carols New and Old (1868: PDF). Fig. 3. William Sandys, Christmas Carols Ancient & Modern (London: Richard Beckley, 1833).